Discussion in 'Product Reviews' started by Moto7man, Jul 2, 2018. 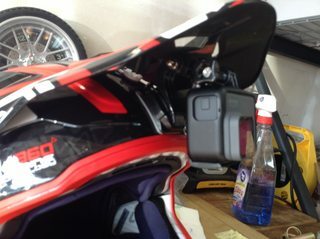 When I bought my Leatt helmet, my old under visor mount from my Shoei would not fit. I bought a cheap accessory pack for my GoPro 5. 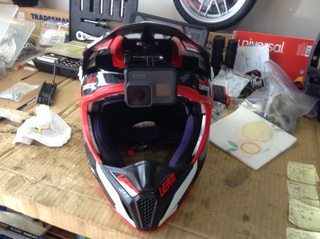 I used a couple of pieces out of this pack with another mounting arm from my GoPro to make an under visor mount for my Leatt. Here is a link to this super cheap accessory pack, $22. Good quality stuff. I was surprised.